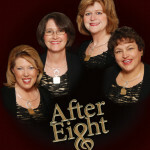 After Eight sings the songs you love! 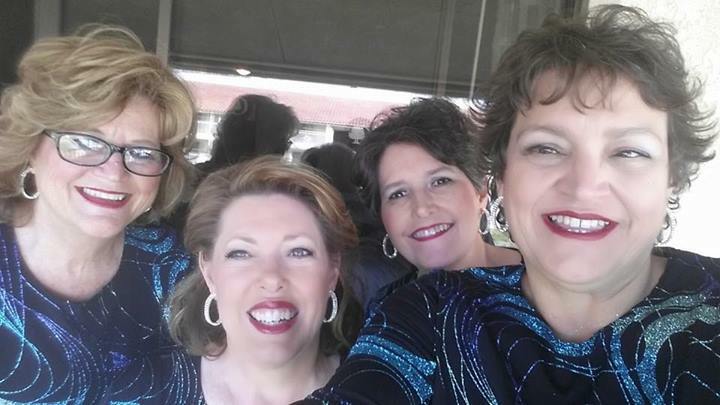 Hits from the 40′s, 50′s and 60′s are their specialties and they are perfect for anniversary and birthday celebrations. 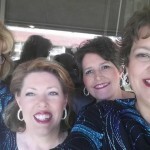 These four talented female singers love sharing their love of music with enthusiastic audiences throughout the Central California area. 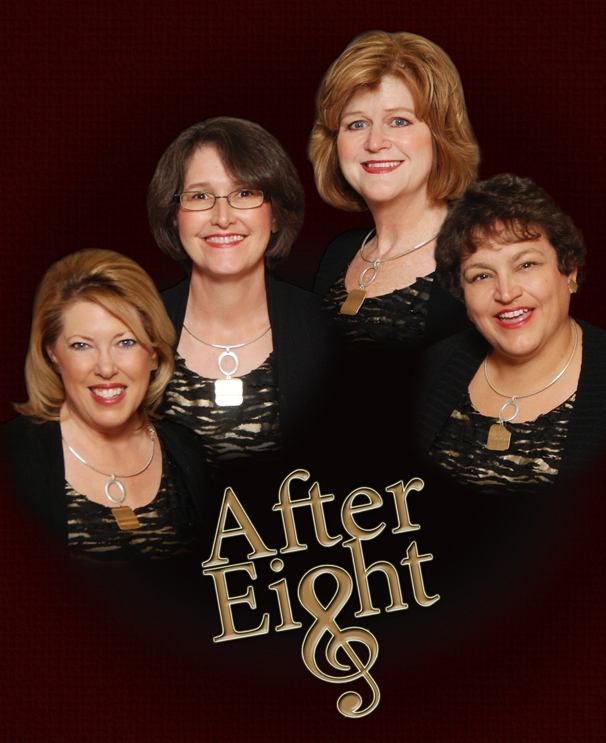 After Eight is a female a cappella quartet who specializes in 20 minute or less packages without any accompaniment. 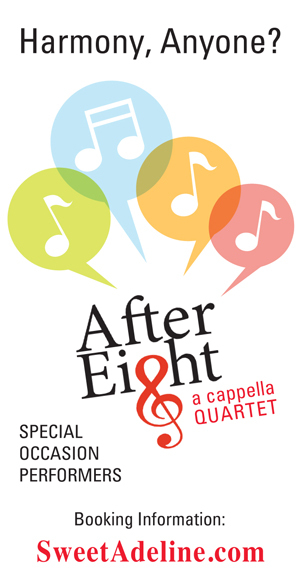 We have a repertoire including songs like: Something, Darkness on the Delta, At Last, Something’s Coming, Happy Anniversary/Birthday, Star Spangled Banner & other patriotic pieces and a wide variety of holiday tunes. 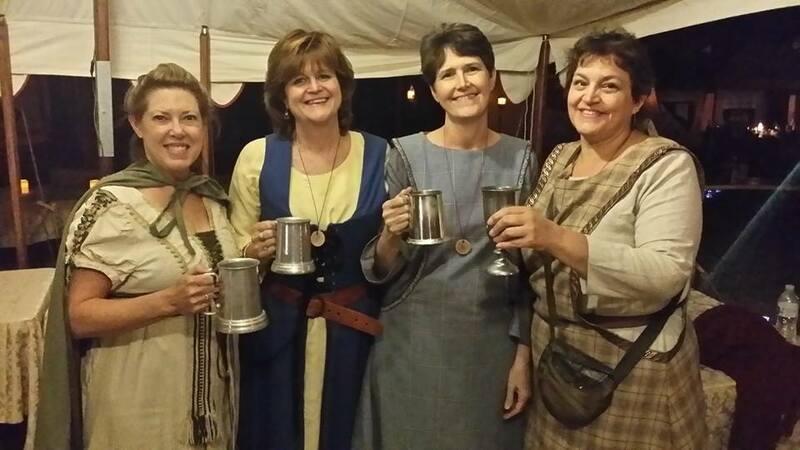 Check out our full song list here. 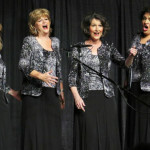 We sing with or without a microphone, depending on the venue and always look and act in a professional manner. 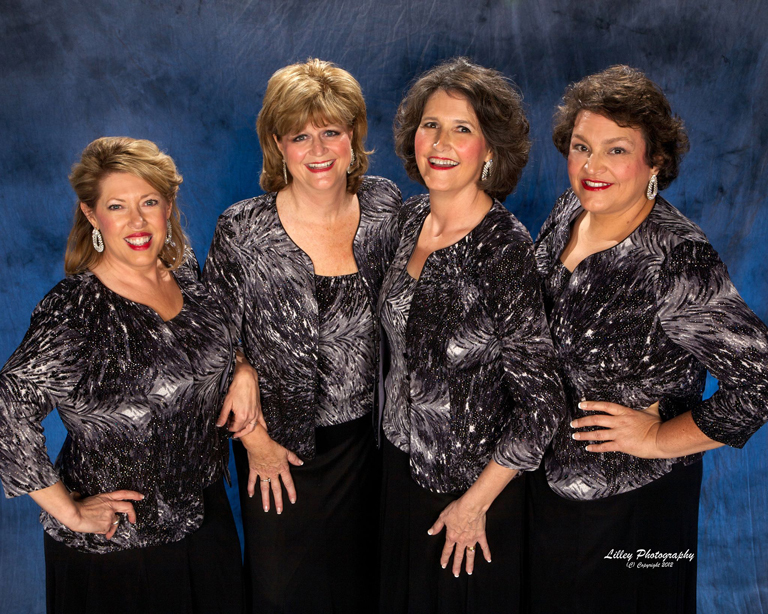 We are semi-affiliated with the Sweet Adelines organization and are all professionals who are the current fifth place medalists in the Sequoia Pacifica Region of the organization. 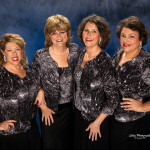 We take singing seriously and assure planning professionals that we are dependable and business like about our hobby. 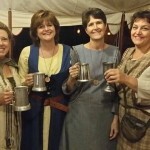 We have a flexible repertoire and reasonable fee schedule. 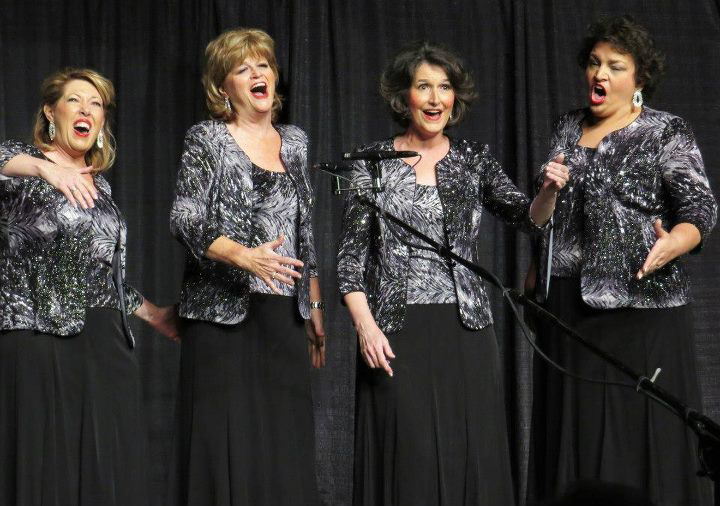 Our version of The Star Spangled Banner is an audience favorite, great for large crowds, four part harmony totally resonates with that group!